Cucumbers are one of my all time favorite summer veggies. I just slice them up and eat them plain. There are also lots of other wonderful healthy ways to enjoy the fresh veggie. This is one of my new favorite ways to prepare cucumbers. The dressing makes your taste buds come to life. It is tangy and very refreshing. Perfect for a warm afternoon! This recipe pairs great with pretty much any protein and is a fabulous addition to your summer cookouts. You can whip this salad up super quick and it is incredibly healthy all around. Low cal, low carb, and delicious! What more could you want in a recipe? 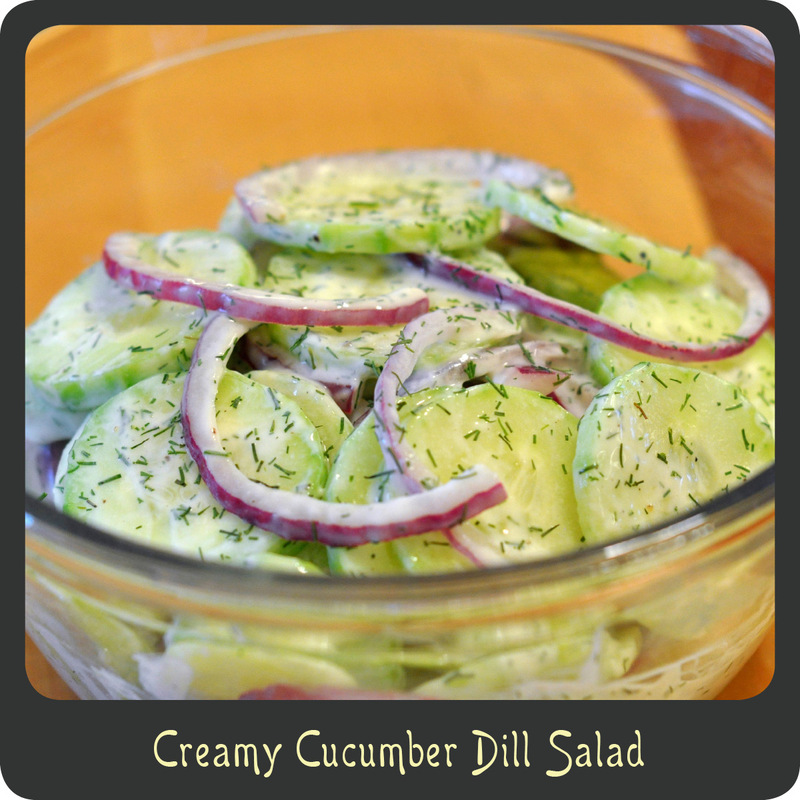 In a medium bowl combine the cucumbers and onions. In a small bowl mix together the lemon juice, Greek yogurt, dill, sugar, salt, and pepper. Pour the dressing over the cucumbers and toss to coat. For a nice presentation sprinkle with a little extra chopped dill. So do you use sugar?